So, the group (12X 18-20 Year olds, 2nd Yr Undergraduate Drama Students ) located ‘love, adrenaline and transitions’ as a potential theme for the work, or a place to direct our inquiry. There was a decision to ‘play’ with verbatim as a mode of developing the work. This was proposed as a starting point for the process, but nobody was particularly excited about it, including me. I thought could be harder work, and potentially less fun than other approaches to performance making. We’d done some small-group improvisational work which was fun, but really about getting to know each other and experimenting with ideas and form. At this stage, nobody knows what’s going to happen next. If we can imagine exactly what the play’s going to look like, or be about in 12 weeks (or 36 hours reh time) then we’re not actually collaborating. I’m working as a co-artist with the group, as well as taking the role of facilitator, and steering the early process – I’m trying to coordinate a group vision for the work, but I don’t necessarily know what’s going to happen next. There’s a power imbalance here, too. I’m significantly older than the rest of the group, and I’m involved in their academic assessment. There’s no getting around that, but since when have educational institutions been designed to encourage creativity? Onwards. More and more I want experiences which oscillate between ‘locked’ and ‘unlocked’ – between the elements of an experience being closely tied together, or, at the other end of this axis, independently drifting, just happening to be in the same space together. Zooming out to cultural scale, these are the two different visions of society and cooperation: the rigidly structured and the completely amorphous. I don’t make a pitch for either, but for the ability to use the whole palette. Contemporary performance making practices, especially those modelled in the course these students are doing, often tends to fall towards the realm of physical and visual theatre. The ‘author is dead’, but no-one’s sure who or what is going to take his/her place. Sometimes you really miss the guy. Working in physical theatre matches well with what young performers are interested in experimenting with. There’s an immediacy to it. You can throw something together with a lot of energy and seem to finish it quickly. You’re looking at each other, rather than bits of paper. At its worst this kind of exploration of the physical dimension of theatre and performance can end up in primitive pseudo choreography in drama blacks and awful plastic masks, but at its best it’s a fun way to more fully explore a palette of possibilities for the stage. Turner and Beherndt define a devised performance as one for which “the performance text is, to put it simply, ‘written’ not before, but as a consequence of the process.” in other words, instead of directing the rehearsal, the text emerges from (and in therefore directed by) rehearsal. So, to propose a process that privileges ‘text’ is unusual in this context. I didn’t think it would be a good idea to pursue a playwriting model that’s completely text-based, that creates a ‘script’ at the beginning, which is then learned and rehearsed. Rather I suggested we pursue elements of verbatim form as an element of the process. To enable a personal connection with the emerging work, and to for the group to elicit material from itself that could be manipulated by (rather than manipulate) a collaborative process. It’s important to create works with young people that they connect with, not just because it’ll make the work more fun and meaningful , but because their ‘voices’ matter. This is because of a particular work history I have in Youth Theatre. I experienced it as a kind of Youth Arts that’s not focussed on being a stepping stone into grown up ‘industry’ for young people, (or indeed the staff) but a practice that emphasises young people performing themselves in their own way. It can be rough around the edges, but the young people ‘own’ the stuff. You’re making art with human beings, rather than human ‘becomings’. There’s still a lot of this kind of practice about. I reckon there’s a place for it in universities, as well, though not everyone thinks like this. Please be Seated’s experiments with verbatim are driven by this kind of philosophy. Ah yes, definitions, hyperlinks, academic references. This all sounds very premeditated, but it wasn’t. There are plenty of happy accidents to come. 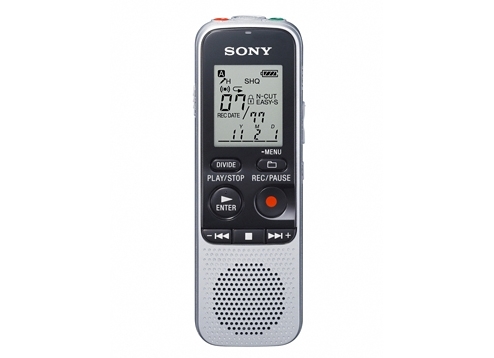 I borrowed a cheap digital audio recorder, and the group conducted the interviews themselves. There weren’t any ‘questions’, but the idea was to base it in personal storytelling about life moments where ‘love, adrenalin and transitions’ converged. (‘Love’ was more closely defined as ‘eros’. ) We briefly discussed what these moments of convergence might be. 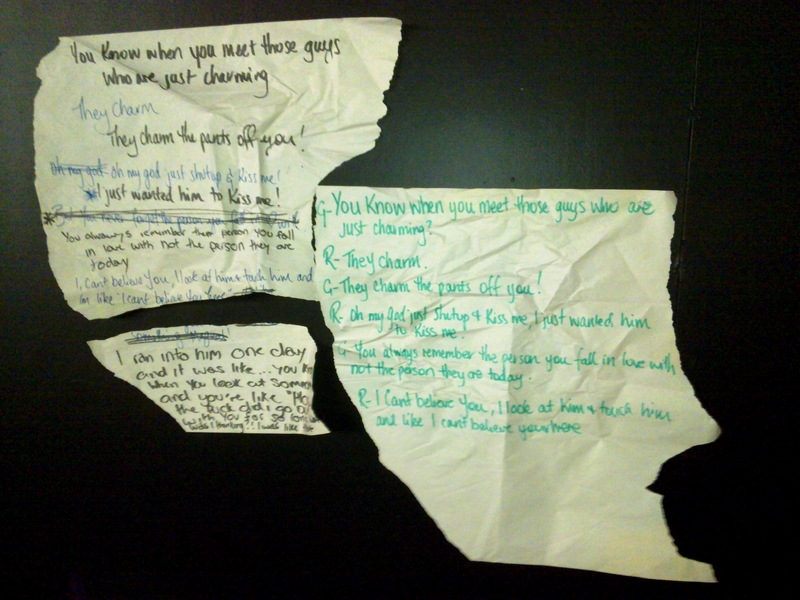 First kisses, breakups, and ‘first sexytime’(sic) appeared on the butchers paper also. This meant that the material we were looking for was necessarily ‘heightened’. Useful for Drama. I also suggested they consider the idea of ‘pressing pause’ on the ‘DVD of their life’ – this was to underline the idea that the stories emerge from ‘moments’ rather than broad recollections or executive summaries, which I guessed would be less interesting. Before we embarked on this exercise a contract was written and signed by all group protecting the material and ensuring a level of anonymity and ‘role protection’ enabling us to elicit and manipulate the material later on. Rights were also granted for me and/or other members of the group to use the material to develop the work further in future. Then interviews were conducted using 3 X (emergent)methodologies. Which is to say that they were made up as we went along. At no stage was the facilitator (me) present in the interviews – this acknowledged the power imbalance balance of facilitator/assessor, but also acknowledges that fact that the students mightn’t want to talk about their personal lives in front of their university tutor. The space was enclosed and quiet, the interviews done in groups of 3 or so. Interview 1 was termed a ‘girly chat’ by the participants – the digital recorder on all the time, capturing everything for around 30 minutes. Interview 2 was more about ‘chunky storytelling’. Each participant addressing one topic, and then stopping the recorder. Given the option, the third group chose to do ‘stop-start’ recording, but mixed up the ‘record’ and ‘pause’ buttons, therefore recording only the in-between chat – things that they’d decided not to record. They only realised this, much to their horror, when we were checking the audio later. I found this intriguing – there was a certain frisson that the group had inadvertently captured material they didn’t want broadcast, and of course this was treated with respect, but as facilitator I thought it was extremely interesting that certain kinds of storytelling were ‘suitable’ for sharing in the(potential) production and other stuff was not. Thus the ‘editing’ of the material has begun even before it’s been spoken, recorded, written or performed. Anyway, the audio files were divided up and selections were transcribed by members of the interview sub-groups. The audio was then deleted from all machines and computers. I still hadn’t heard it by this stage, and I guess I never will. Back in class the next week, selected monologues were shared, and treated using a range of methods, again made up on the spot – from extreme editing, cutting and pasting and ‘wholesale’ performance of the raw text. By this stage nobody necessarily knew ‘whose story was whose’, and people were performing their own stories and the stories of others. I didn’t seek confirmation either way, though occasionally, the ‘owners’ of the stories asserted their rights over the material, but usually only to clarify the performance, or approve a change. It was agreed that these story fragments had potential and were worth pursuing. It gave the young performers an opportunity to experiment with stillness and strength in delivery of material that was directly relevant to them. It was a new work. What could it be compared to? There were chairs in the rehearsal room, of various sorts, and naturally they were used in workshop exercises and showings. 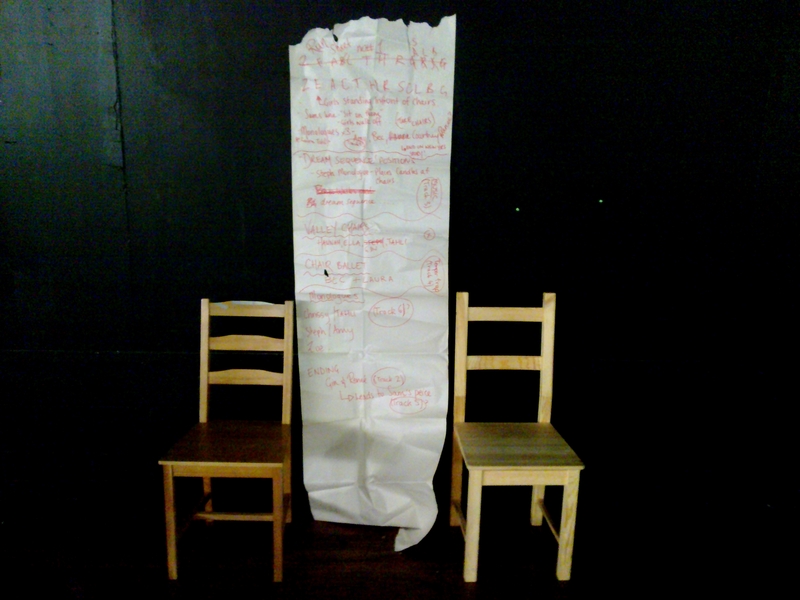 I decided, as a facilitator, to build on some of the group’s playful staging concepts related to the use of chairs as character ciphers, portable set, and, increasingly a symbolic device in the play. The group warmed to the idea, and eventually took it in their own directions. There was a choreographed ‘chair ballet’ and some other fun movement sequences that ‘sewed’ the work together. This is probably where I was most active as a ‘director’, rather than a ‘facilitator’. I know that fun set-pieces like this to music are fun to devise and perform, and build the feeling of ensemble. It will also break up the verbal nature of the performance, and open the work up to different kinds of input from the group, who, as I’ve mentioned wanted to play with physical theatre. The chairs remained unresolved as a symbolic device, as time ran out for high concept discussions and the group focussed on making what they had performable. The chairs kind of stood for (or sat for?) …being absent, rather than present in any given moment, different ‘types’ of people/character (the office chairs on castors often ended up being male!). They also embodied the ‘reminiscence’ of life moments, reflected on from outside the moment, separated by time. 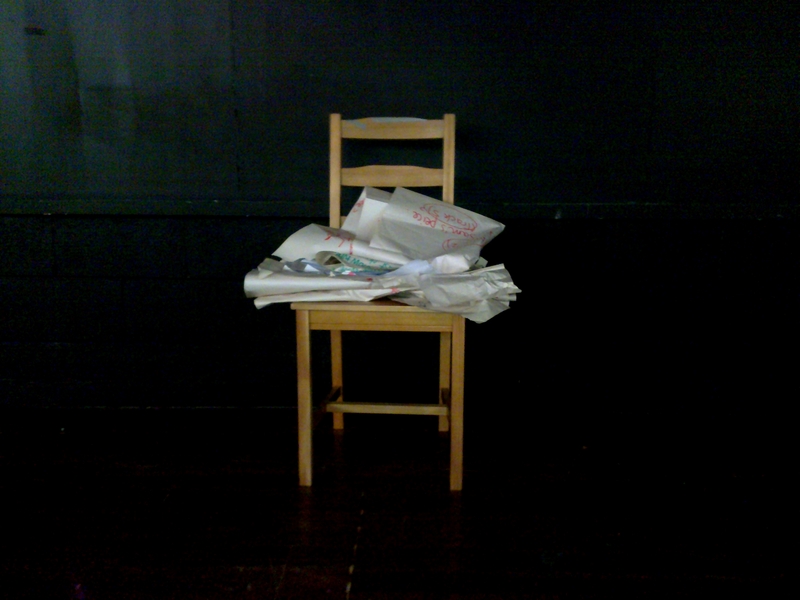 This chair play was received well in the work in progress performance on April 11 where the group showed bits and pieces, framed by an explanation of what they were trying to do. Among other things, the sole male performer in the group ended up shifting furniture, and preparing the stage, kind of like a stage manager, providing a platform for the (many) female voices in the piece, and this turned into a symbolic device . There was a sense that the male character/performer, didn’t seem to understand what was going on – this is a through line (and comic seam) I’d like to pursue in the further development of the work. A decision was made to let the structure grow organically, rather than trying to manipulate the material into a narrative directed towards making some sort of overarching point, or moral. Therefore blocking, and ‘giving everyone a enough time onstage ’ really led the inclusion , or otherwise of ‘text’ plus a basic emotional reaction to the rehearsal performances. We were going for an understated, authentic approach to performance, honouring the text. The students also self-selected which bits of text they’d learn and work with. The group structured the play in a single session, on a big chunk of butchers paper. They’d been introduced to the notion of ‘group flow’ in the lecture series I’d given, and they said they experienced it during this ‘structuring’ session. Perhaps they did. The structure they devised certainly worked for them. I chose not to be there while they worked it out. Sometimes I’ve noticed that collaborative groups I’m facilitating are most productive when I’m not around. It can be hard to get out of the way when things are going swimmingly, or floundering, but sometimes it’s the best thing to do. This was a group of 12 young women and 1 young man, who wasn’t present for the interview sessions. It was only a little later on that we realised we were looking at a distinctly feminine ‘take’ on the material. No more interviews were done. There was plenty to be going on with. These fragments, and the group devised structure formed the basis of the work. …but I’m not sure how it translated into reams of butchers paper or scrap A4.